"Operation Round Orange" is now live at the Saturday Evening Post! My story, "Operation Round Orange," is live at the Saturday Evening Post! Check it out. Won't someone help the children? Back the Kickstarter for Ember: A Journal of Luminous Things. You know you want to. There are precious few paying middle grade short fiction markets out there so I really think it's worthwhile to chip a few bucks towards this Kickstarter. I did. You should too, because of peer pressure. All the cool kids are doing it. I'm happy to report that my story, "Operation Round Orange," will be appearing soon (this Friday, 11/28 I think) in the Saturday Evening Post's new New Friday Fiction online series. 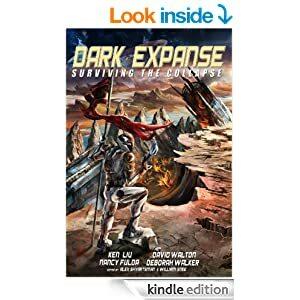 I'm particularly pleased by this sale since it's the first time I've sold a humorous story outside the speculative fiction markets, plus SEP's circulation, even its online content, probably dwarfs the circulation of all my other story sales combined. I'll post a link when it goes live. I'm also happy report a reprint sale to Fantastic Stories of the Imagination. 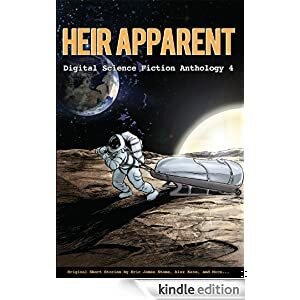 My story, "Floaters," which originally appeared in Digital Science Fiction's Heir Apparent anthology will see new life with Fantastic Stories. "Floaters" was my first full length pro sale and Fantastic Stories will provide the story with a much wider audience. I'll post a link to it, too, once it goes live. Fireside #18 with my story, "Twenty Parsecs East of the Earth Bypass, Closed on Sundays," is now live! My story, "Twenty Parsecs East of the Earth Bypass, Closed on Sundays,"and several others are now lives at http://www.firesidefiction.com/issue18/. Got a hankerin' for a western, pardner? Read "Leave the Stone" and other stories in The Big Adios Western Digest. If you don't, you may be a yella-bellied Yankee or a no-good varmit. I'm very pleased to announce that my middle grade story, "Cat Tail," has been accepted by Ember: A Journal of Luminous Things. 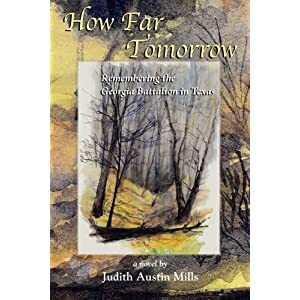 This marks my first official children's story sale and the first time I will be published under my pen name, Bert Lowe. And for no particular reason, I'll also mention that Ember is currently running a Kickstarter campaign. Please consider "Scents of Life" for your Nebula nominations. 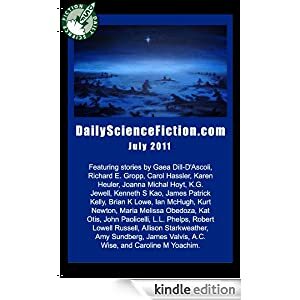 I received a number of emails and comments telling me how much people liked my story, some even saying it was the best Daily Science Fiction story they'd ever read. My story has yet to be reviewed by any of the major review sites, so you'll have to take my word that it's pretty darn good.